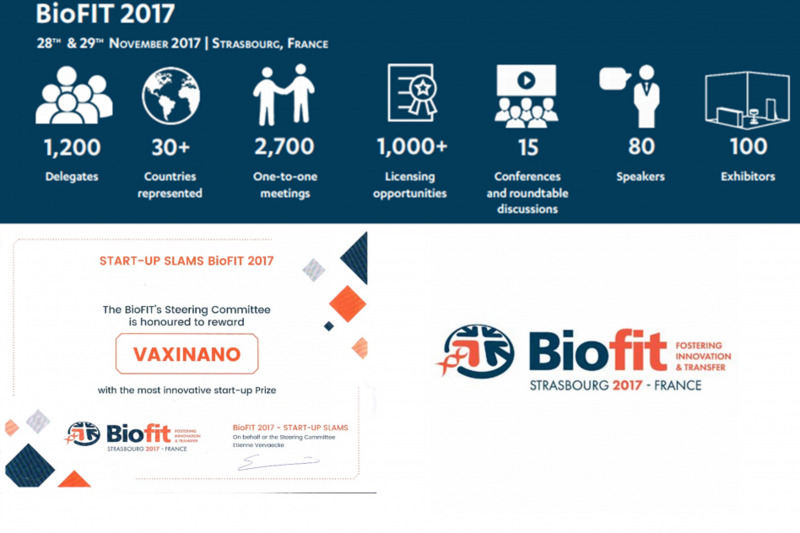 BioFIT operates as a european platform to build partnerships for all public and private actors. BioFIT is also the marketplace for seed and Series A investment in Life Sciences. To sum up, Biofit is more than 30 countries represented and more than 1,200 attendees. Every year, the start-up slams competition awards the most innovative start-up. Among the 70 competitors, 20 have been chosen to defend their start-up and the steering committee select Vaxinano as the winner.